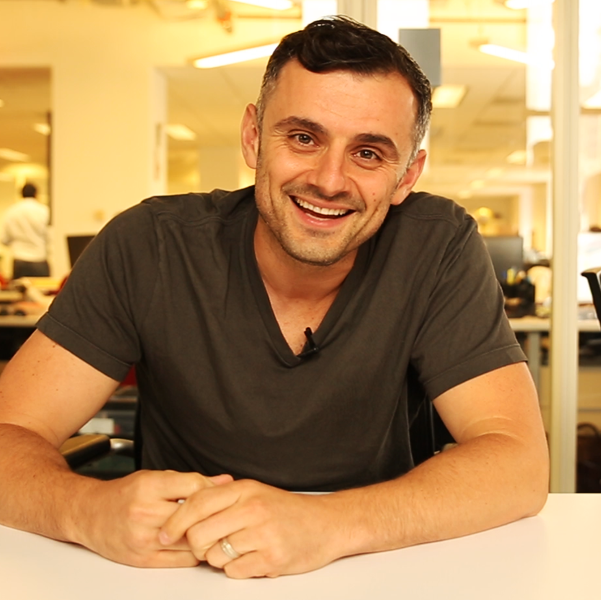 A couple months ago, Gary Vaynerchuk did an AMA—that’s an “Ask Me Anything”. I had previously asked him a question for his #AskGaryVee show that had been burning in my brain, but he didn’t see it the first time. I was early to this AMA and hopped on the opportunity to ask him again. What is the most important thing to understand in order to be able to get from six figures a year to seven figures? In business and life, I’m always trying to get around those who have been there before me. At every level, you need to get around people who are at a level above you and absorb how they think. Look for people who will stretch you. Their insight may not be what you expect, but that’s the point. If you already thought that way, you’d be at their level. If you want to experience success, you need to get around people who are successful. I specifically asked Gary for the mindset shifts needed to grow from six figures a year to seven figures. If you are not yet making six figures, this is not going to be as applicable to you. You’re going to need to break through your mental barriers for getting to five figures a month first. But for those of you who are making six figures, these are the mindset shifts that need to occur in order to grow your business and take it to the next level. Let’s break down Gary’s answer on getting your business to seven figures. It’s easy to get caught up in the minutia. There’s a lot that you can find yourself doing that might make you feel important, but almost certainly should not be your job. You need to focus on the big picture. Where are you going? How are you going to get there? Maybe most importantly: what should you personally not be doing in order to get there? Your focus as the business owner should be on two things: voice and vision. Don’t lose sight of the big picture. There have always been successful anomalies, but the internet makes them much more obvious than they used to be. You see the headlines and the highlights and the people who stand out and have experienced great success. You’re looking at the hand-picked cream of the crop. But not only are these exceptions, they are only part of the story. What you don’t see in someone’s “overnight success” was all the hard work they put in over the years that got them in the right place at the right time. Success takes time. Most businesses fail. If you are going to succeed, it’s not going to happen overnight. You have to account for the time factor. Plot the right course, focus on the right things, and then patiently keep doing it. Building a seven figure business alone is doing it the hard way. You don’t have to be a lone wolf. You shouldn’t be a lone wolf. Maybe you employ people. Maybe you outsource work or have contractors. This is good, but are these people just doing what you tell them or are they autonomous? Are you merely employing others or are you empowering them? How can you give people in your organization more control, responsibility, and incentive? You shouldn’t be building this alone. If you give other people good reason to build their pillar, the resulting business will not only be stronger, but you will get to the next level faster. It feels like a lot of things matter, but they really don’t. Quality is important, but at some point you reach diminishing returns. If you obsess over perfection and details, you will never move. Not only that, but virtually no one who isn’t you will be able to tell the difference in the final result. 99% of things don’t matter. What does matter then? That’s up to you to figure out. You have to find the things that are producing the kind of result you want and go all in on those. What is working? Do more of that. It’s the 80/20 rule—but take the 20 and do 80/20 again, and again, and again. Eventually, you get to the 1% of things you can do that will have the greatest results. Do more of what works. Do less of the 99% that is everything else. By “biz dev chops”, I think Gary means means to build relationships outside of the company. Find people who can help you grow. Don’t be afraid to network. Don’t be afraid to reach out to people you may consider to be competitors. How can you collaborate and work together with people outside your company to reach your next goal? Maybe that’s marketing, maybe that’s joint venture, maybe it’s partnering. Your next level could be one cooperation away.